There is something a little bit different about Dark Horse Comics' latest "Star Wars" series, "The Star Wars." Many of the names are the same, but they belong to different characters. Some of the places are familiar, but they go by different names. A few of the characters look like the ones we know and love, but as Obi-Wan Kenobi once said, "Your eyes can deceive you. Don't trust them." And what is the deal with that extra "The" in front of "Star Wars," anyway? "The Star Wars" isn't just any tale from George Lucas' sprawling space saga. It's the original, the "Star Wars" that could have been. It's Lucas' rough draft dated 1974, and despite some half-baked ideas and a lot of clunky dialogue (even by Lucas' standards), it's a fascinating glimpse at what was going through Lucas' head during the early stages of what evolved into his 1977 blockbuster. Writer J.W. Rinzler and artist Mike Mayhew have adapted "The Star Wars" into an eight-issue miniseries, using Lucas' draft screenplay and some of the original concept designs by Ralph McQuarrie. (Those are the same designs Lucas used to sell 20th Century Fox on making what would become "Star Wars.") The first three issues are now on sale at comic book retailers and via the Dark Horse Comics app for Android and iPad. In the '74 draft, "Star Wars" isn't yet its own thing. Lucas' influences are still too obvious, and "The Star Wars" reads like a patchwork. The debts to Akira Kurosawa's 1958 movie "The Hidden Fortress" — still apparent in "Star Wars: Episode IV — A New Hope" and more so in "The Phantom Menace" — are glaring. The heroes' hideout is even called "the hidden fortress," making "The Star Wars" seem like almost a remake of Kurosawa's film. The influence of Frank Herbert's "Dune" novels is also pronounced. In this draft, the Jedi are called the "Jedi-Bendu," a name that recalls Herbert's Bene Gesserit Sisterhood, who, like the Jedi, train from childhood to master superhuman abilities. The Bene Gesserit have "the voice," and the Jedi have their "mind trick." As for the characters' costumes, with their flowing capes and headpieces, they look like they could have come from the set of an old "Flash Gordon" serial. The most interesting thing about "The Star Wars," however, is it's as much like the prequels as it is the original trilogy. "A New Hope" and its sequels are the outgrowth of Lucas' best ideas, while the prequels sprang from the leftovers, the stuff that didn't make the cut the first time around. It's no wonder the prequels are so disappointing. 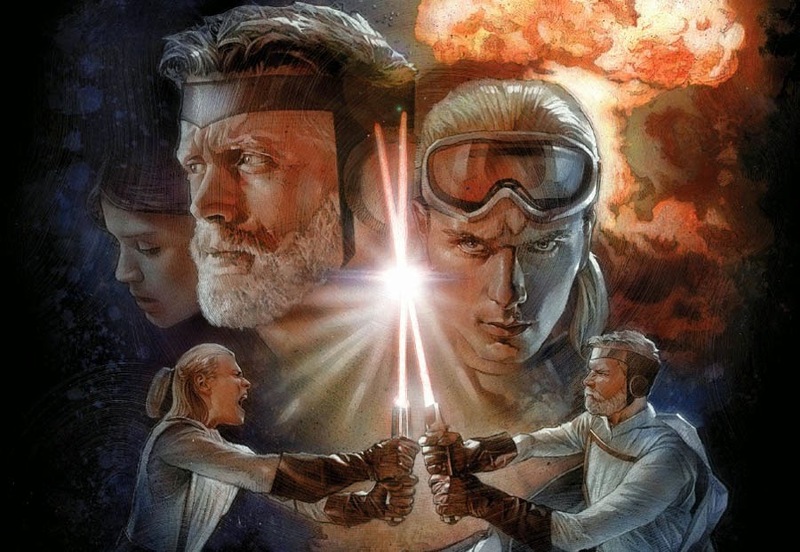 Luke Skywalker is still at the center of the action, but in the form of an older, wiser General Skywalker, who is more Obi-Wan Kenobi prototype than restless farmboy. That fits because he ends up paired with a brash, reckless young padawan named Annikin Starkiller, setting up the Obi-Wan/Anakin Skywalker pairing of the prequels. At least Princess Leia is mostly her spunky self, and Lucas has the bickering between Artoo and Threepio — proof he can do good dialogue when he really tries — nailed from the start. Because it's a mix of ideas from both the original and prequel trilogies, "The Star Wars" feels more like "Star Wars" than the prequels do. All we need now are some action figures. 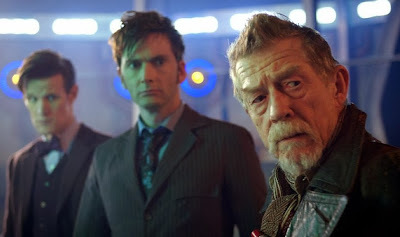 Matt Smith, left, David Tennant and John Hurt are the Doctor. The idea when it began in 1963 was that "Doctor Who" would be an educational program, using a time-travel premise to impart a little historical knowledge to its young viewers. Yet it was never entirely just that, and had it been, it's likely no one would be talking about "Doctor Who" today, and far less likely that it would still be on the air in order to celebrate its 50th anniversary. The BBC's venerable sci-fi series celebrates in grand fashion this week, with repeat airings daily on BBC America, a docudrama about the show's early years ("An Adventure in Time and Space") airing Friday night at 8 and 10, and the much-anticipated 50th anniversary special, "The Day of the Doctor," airing Saturday at 1:50 p.m., 6 and 10. The special teams up the current Doctor (Matt Smith) and his immediate predecessor, the Tenth Doctor (David Tennant), with a previously unknown incarnation of the Doctor (Oscar nominee John Hurt) who fought in the Time War, a major plot point to which the show has little more than alluded since it returned to the air in 2005 following a 16-year hiatus. As the Doctor says, travel through time as much as he does and you're bound to run into yourself sooner or later. "Doctor Who" now occupies so much television history, it's only natural the program has become, to a large degree, about itself rather than about visiting new places and new (and olden) times. Fan-favorite villains return again and again, more of the Doctor's mysterious backstory unfolds, and the Doctor's (normally) human companions become more than simply the audience's point of view. The Doctor's current traveling companion, Clara (Jenna-Louise Coleman), is a metaphor for the audience throughout the program's history. In the most recent season finale, "The Name of the Doctor," Clara ends up split into an infinite number of fragments along the Doctor's time stream. She's there at every moment of his life — or lives, as the Doctor's case may be. She is invisible to him but always there, worrying about him, warning him and cheering him on, just like the audience does. Critics who complain Clara is a bit of a cipher are missing that that's the point. She must be in order to be the audience, to stand in for millions of fans. Granted, now that she has fulfilled that anniversary-inspired function, she does need a bit more personality of her own. The ingenious trick of having a lead character who can regenerate into a new body, portrayed by a new actor, has made the show's longevity possible in more ways than one. Apart from allowing "Doctor Who" to carry on when the actor playing the Doctor decides to depart, it has made possible the show's constant evolution, from the mod '60s though the moribund '70s into the stiff-upper-lip '80s and on to today. Every Doctor has his day: same man, same memories but changing with the times. Long a British institution, "Doctor Who" at 50 is globally recognized, even in the U.S., which was late to the party. In America, "Doctor Who" has gone from Public Television curiosity and jokes about wobbly sets to gracing the covers of Entertainment Weekly (twice) and TV Guide. Getting "Doctor Who" references has replaced getting "Monty Python" references as a mark of Brit pop culture literacy. It's a long way from the dark days of the late '80s, when "Doctor Who" was in a creative funk, stuck with an increasingly controversial producer and hostile BBC executives who wanted the show dead. Even the few good stories of the period often lapsed into tedious anti-Margaret Thatcher ax-grinding, and the worst story, "The Happiness Patrol," was nothing but. Which brings us to now. This is not only a historically momentous anniversary year for "Doctor Who" but a year of change. At Christmas, Matt Smith will depart and Peter Capaldi ("The Thick of It") will take up residence as the latest madman in the blue box. Gone will be Smith's manic Doctor with his bow ties and fezzes, and in his place will be — who knows? But whoever Capaldi's Doctor turns out to be, he will be the Doctor. Marvel Comics didn't invent serialized storytelling, but it may have perfected it. 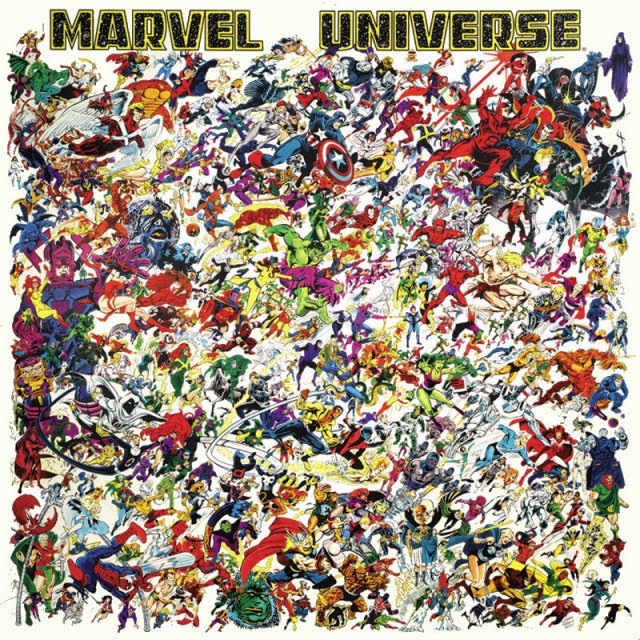 During the publisher's formative years, Stan Lee, Jack Kirby, Steve Ditko and the rest of the Marvel "bullpen" created a unified world, in which characters from one comic book might pop up in another, if only for a cameo, with little or no fanfare. Just a friendly neighborhood Spider-Man dropping by to say hello. While DC Comics' superheroes inhabited a unified world, too, theirs was neither as cohesive nor as seemingly effortless as Marvel's. (It still isn't.) DC was selling individual characters: Superman, Batman and Wonder Woman. Marvel was selling the Mighty Marvel Universe, and Marvel's readership eagerly embraced the label "Marvel zombies." 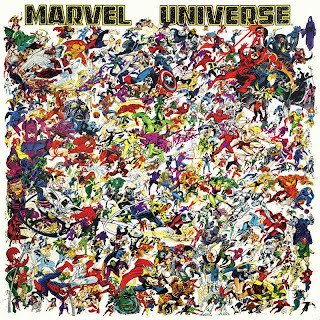 With Lee's carnival-barker routine in overdrive, 1960s Marvel became a hip brand. Fifty years later, the comics publisher turned Disney-owned entertainment juggernaut looks to revolutionize serialized storytelling in ways that would have been unthinkable a few years ago. When Samuel L. Jackson's Nick Fury appears following the end credits of 2008's "Iron Man" and tells Robert Downey Jr's Tony Stark, "You've become part of a bigger universe. You just don't know it yet," it's aimed more at us than at the character onscreen. Fury is telling the audience there is much more to come, beyond the obligatory "Iron Man" sequels. Sure enough, when we next see Stark, it's at the end of "The Incredible Hulk." When "Iron Man 2" rolled around, Marvel's grand plan was in full swing. There were visual nods to Captain America and the Hulk, and the post-credits scene segued supporting character Phil Coulson (Clark Gregg) into the next big Marvel movie, "Thor." After "The Avengers," "Iron Man 3" and, most recently, "Thor: The Dark World," going to the movies is more than just going to the movies. It's like watching television. Each film is appointment viewing, as each is merely an "episode" in a larger, ongoing superhero soap opera. And you can count on an average of two new episodes a year, one in the spring and another in the fall. For the first time, the movies are like Marvel Comics. Yes, you can follow just one character, but if you do that, you'll miss out on the larger story. "Iron Man" (and "Iron Man 2" and "Iron Man 3") is, like Fury said, "part of a bigger universe." And that universe is getting bigger, by which I don't mean just next year's "Captain America: The Winter Soldier" and "Guardians of the Galaxy." Agent Coulson now headlines the television series "Agents of SHIELD," which, despite a steady decline in viewership, has secured a full-season order and seems finally to be getting a narrative footing. Apart from expanding the Marvel mythology, episodes so far have dealt with the aftermath of the Battle of New York (as seen in "The Avengers") and the "extremis" bio-weapon first seen in "Iron Man 3." This week's episode is a direct tie-in to "Thor: The Dark World." Last week, Marvel announced a deal with Netflix that, starting in 2015, will bring four 13-episode series plus a "miniseries event" to the video streaming service. Daredevil, Luke Cage, Iron Fist and superhero private eye Jessica Jones will each fly solo before teaming up as "The Defenders." Disney clearly likes what it sees in the Marvel approach. When Disney purchased the "Star Wars" franchise, company execs promised not only a new "Star Wars" trilogy starting in 2015, but also "standalone" films taking place outside the main saga. In this environment, DC and its corporate parent, Warner Bros., can't sit idle. They hope to spin-off a Flash TV series from The CW's "Arrow," and the "Man of Steel" sequel, also set for 2015, may feature Wonder Woman and other heroes as well as Superman and Ben Affleck's Batman. By 2015, movie theaters could be home to three sprawling fictional universes, each as involved and time-demanding as an entire season of your favorite TV show is now. Welcome to the brave new world of serialized storytelling. Jackie Gleason's portrayal of Sheriff Buford T. Justice in "Smokey and the Bandit" is so ridiculously endearing, you almost forget what a backward, bigoted, bullying character Sheriff Justice is: Archie Bunker with a badge. The coyote to the Bandit's road runner, Justice is the Old South reduced to a subject of ridicule. His dogged pursuit of Burt Reynolds' Bandit is the "lost cause" of the Confederacy, and by the film's end, there's not much left of it. Like the sheriff's patrol car, it's gone to pieces. To the extent Sheriff Justice is a lovable curmudgeon, it's because he's also a lovable loser. He's harmless and destined to keep losing ground both to the Bandit and to the New South that the Bandit represents. Memphis-born stuntman/director Hal Needham, who died last month at 82, probably didn't set out to make anything more ambitious than a car chase movie, but "Smokey and the Bandit" is something far more. It is a quintessentially Southern movie and also a quintessentially American movie, and no film before or since has so excelled at being both. It was America's No. 4-grossing film of 1977, behind "Star Wars," "Close Encounters of the Third Kind" and "Saturday Night Fever." Like those films, it touched a nerve. On playgrounds across the nation, when not reenacting adventures from a galaxy far, far away, kids imagined what it would be like behind the wheel of a black Trans Am. Answer: pretty cool, actually. Jerry Reed's infectious song, "East Bound and Down," tidily sums up the plot: "The boys are thirsty in Atlanta / and there's beer in Texarkana / and we'll bring it back no matter what it takes." To win an $80,000 bet and buy a new rig, Bo "Bandit" Darville and his truck-driving friend Cledus "Snowman" Snow (Reed) have to pick up 400 cases of Coors and deliver them back to Atlanta within 28 hours. Never mind that's bootlegging, which is illegal, it's never been done. So why even try? "For the good old American life," the Bandit says. "For the money, for the glory and for the fun. Mostly for the money." "Smokey and the Bandit" hit at just the right time, the year after America's bicentennial celebration and the election of America's first president from the former Confederacy who hadn't first assumed office following an assassination. The history books say Reconstruction ended in 1876, but the South's cultural reintegration into the Union wasn't confirmed until Needham told us it was. While Needham's South is still home to racist sheriffs, his everyday folks are able to get along regardless of race, gender or creed. They're united by a cause and by the Bandit's larger-than-life reputation. To stay ahead of the law during his high-speed tour of the Deep South, the Bandit relies on the kindness of friends and strangers alike, whether it's an African American hearse driver who helpfully pulls his funeral procession in front of Sheriff Justice's car or a Japanese truck driver who slices off Justice's driver's side door. 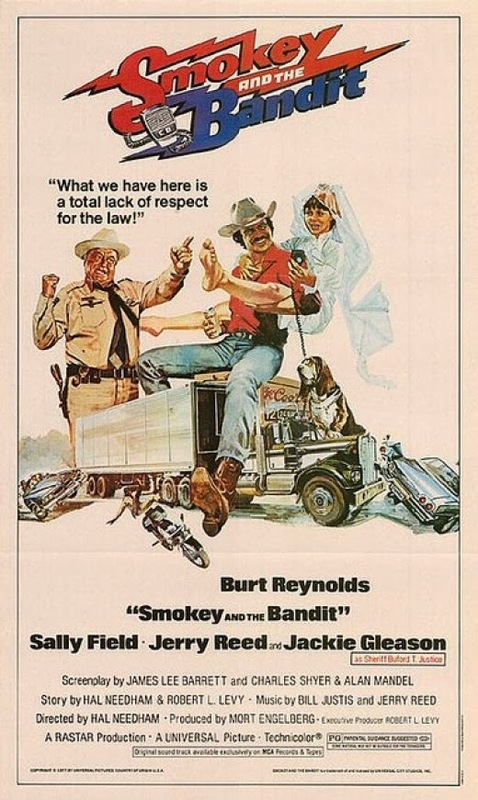 Needham's most meticulously choreographed scene occurs when the Bandit hides from an Alabama state trooper by joining a convoy. The truck drivers who come to his rescue are a cross section of the nation, male and female, young and old. "This isn't a convoy. It's a dream," the Bandit says, and he's right: It's the American Dream. In this light, the Bandit's "opposites attract" romance with Carrie (Sally Field), a wannabe Broadway dancer who prefers Stephen Sondheim to Tammy Wynette, takes on deeper importance. They don't just come from different worlds, their coming together represents the healing of the nation. That it's accomplished by fun-loving outlaws and their friends in defiance of official authority seals the deal. Needham brings the nation back together in the same manner it first came together 200 years earlier: thumbing its nose at The Man.